I turned this chunk of firewood log into my first bowl on the lathe. This is my first ever woodturning project, and most certainly won't be my last. Turning is one of the most rewarding woodworking skills I've learned thus far, and now every log I see seems to contain a hidden bowl. 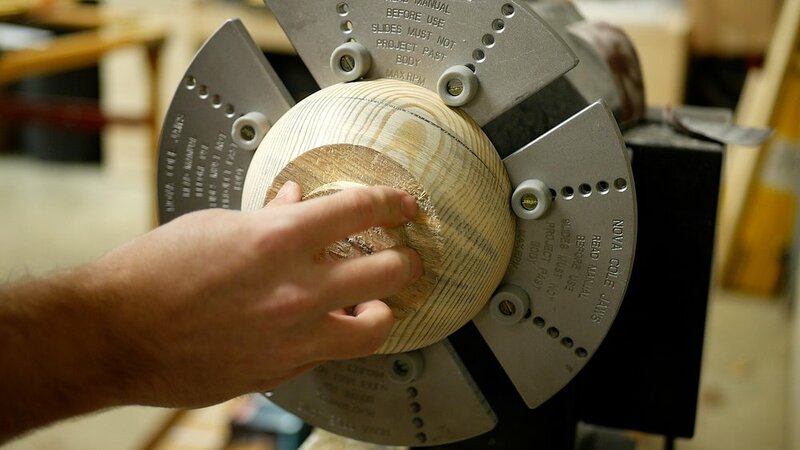 The process of turning a bowl from a log is fairly simple. First, I cut the blank from the log. To do this, I cut the log along its center longways. Next, I cut a roughly square piece and marked its center. I then mounted the faceplate to the blank using some heavy duty screws. I also cut away any excess, rounding out the blank as much as I could before mounting it onto the lathe. Next, I mounted the faceplate onto the lathe and started roughing out the shape. In this first part of the turning, I am working on the bottom of the bowl. Once I roughly turned the bottom of the bowl round, I cut a tenon so that I could mount the bowl onto my chuck. I mounted the bowl on the chuck and then removed the faceplate. Once on the chuck, the next step is to work on the inside of the bowl. I used a similar process as on the inside of the bowl, roughing out the shape. When woodturning, I try to match the contours of the outside of the bowl to the inside of the bowl, making the two faces as parallel as possible. This lightens the shape and also gives more room inside the bowl. Once I had the shape where I wanted it, I smoothed out the inside of the bowl as well as most of the outside. 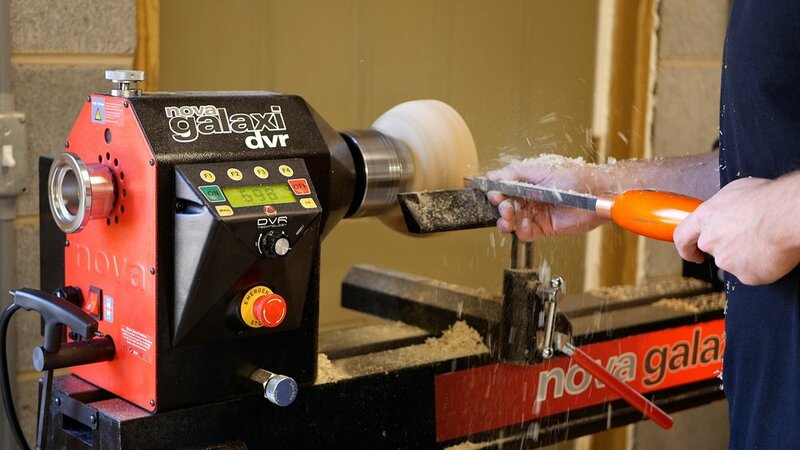 This is the last time I have access to the inside of the bowl with it mounted on the lathe, so I do as much sanding here as I can so I don't have to sand by hand. Some people also apply finish here, but I decided to hold off until the end to do this. I did end up losing the bowl at one point here. Probably my fault, as I was trying to remove too much material at once. After losing it, I took shallower passes and ended up just fine. Next, it's time to work on the bottom of the bowl. Most people might not think the bottom of the work matters, but, to woodturners, the bottom seems to be oddly important. I first removed the tenon I had turned earlier to hold the bowl in the chuck jaws. I then began shaping and smoothing the bottom of the bowl. This is difficult, since the max RPM of the Cole Jaws used in this part of the woodturning process is 600. I had to take light passes and make sure my tools were sharp. Once I had the bottom of the bowl smoothed out, I sanded it thoroughly, starting at 80 grit and working my way all the way up to 600 grit. If I didn't have some of the tearout I had due to my inexperience, I could have definitely started at a higher grit. For finish, I used a few coats of a spray polyurethane. I used a Satin finish, but would have preferred a higher sheen in retrospect. At this point, my bowl was done! If you liked this woodturning project, please give the video a thumbs up and leave me a comment letting me know what you’d like to see me build next. If you don’t already, get subscribed to my main channel and on my second channel. Last, if you want to support me more, use the Amazon affiliate links in the lists at the top of this post. This is a free way for you to support my future projects! Thanks and, until next time, happy building!